Photo: Two women in saris stand and splash waist-deep in water. 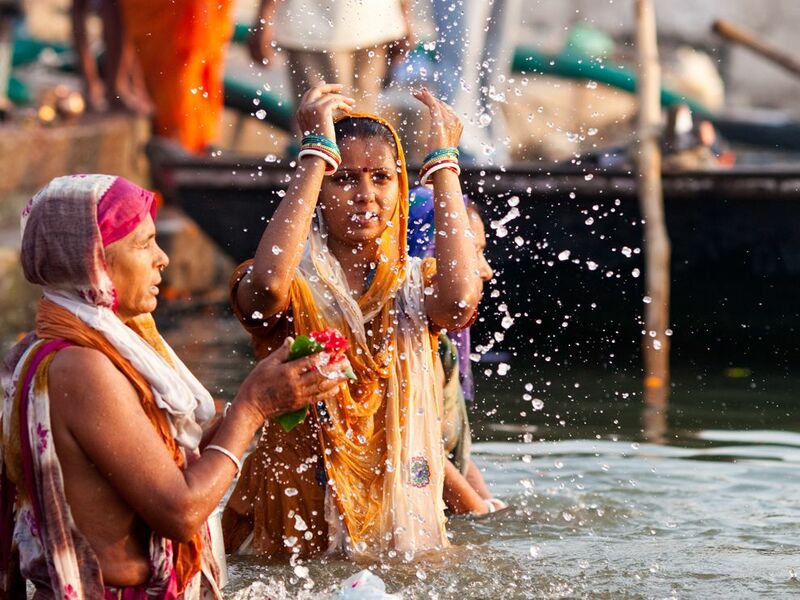 The Ganges River is sacred to Hindus like these women in Varanasi, India. Pilgrims travel thousands of miles to pray and bathe themselves in the river as part of a purification ritual. Culture and Food and Ritual, Oh My!